The Latin Quarter is always a good bet for an evening out in Paris, you'll find good food, good wine, and a crowd of people looking to relax in a casual environment. 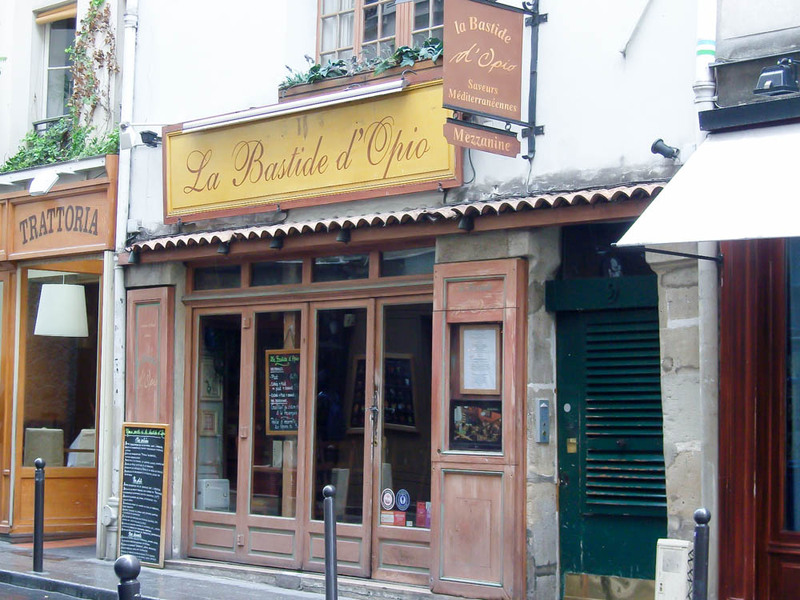 With so many restaurants it can be tough to narrow down which to visit, but if you're searching for something rustic, well priced, and delicious, La Bastide d'Opio just might be the place for you. The specialty here is Provincial cooking so you'll find Mediterranean style dishes such as shrimp and crayfish, artichoke heart salads, foie gras, and skewered meats. There is a range of light pasta dishes usually mixed with fish and vegetables, that, paired with a glass of wine of course, make the perfect summer meal. Leave enough room for dessert, this place has some of the best creme brulee we've tried in Paris. All this greatness actually comes with a decent prices. There are set menu's for lunch (€22 for a starter, main and dessert) and in the evening none of the mains are over €18. There is an English menu and most of the staff speaks enough English that you you won't end up ordering something you didn't want.